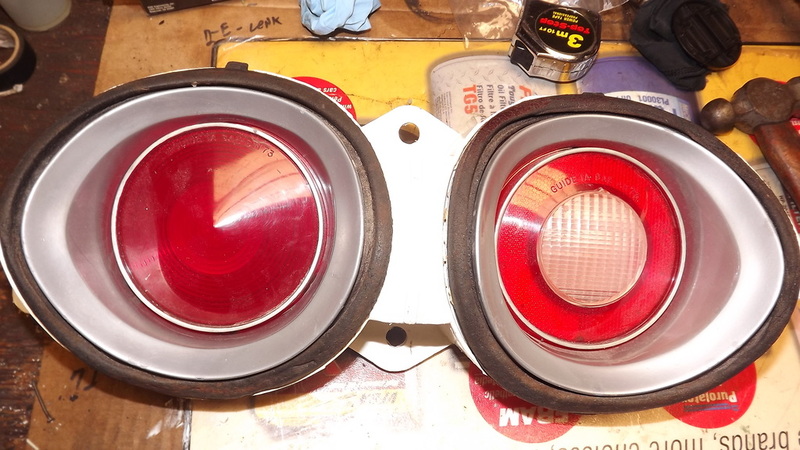 Looking for a '73 chevelle left tail light bucket. I don't need the lens or chrome. There are several on e-bay, just lookin to see if anyone has one on here to maybe trade? I have a '73 Laguna left bucket with lens's and also a '73 chevelle right bucket. Missing tail light lens but has the back-up lens, SS style. I'll post pics if anyone interested. Are you talking about the white part with the mounting tabs?? If so, isnt it the same from the laguna? Just the lens trim would be different. pics of what your talking about ? Sorry for the confusion guys. Tail light housing is the term that eluded me last night. The laguna housing has holes in the back for the studs to come through. I could use the laguna housing & epoxy the holes shut. I wanted to check here first if someone is looking for a complete laguna assy because the lens & chrome are useless to me. The housing does have a different part # then a chevelle. The lens' may be unique to the laguna also? Someone has painted the chrome. Not in bad shape otherwise. If anyone is interested in a trade for a left chevelle housing or if would like to buy let me know. I'm thinkng $20? I didn't know there were any differences either until I got this one. Ok, I see. I never took a look at a 73 laguna tail light closely. But this is new to me that it has studs in the back. Interesting. Your white piece looks to be in good shape. I'd white silicone the holes up. No big deal. No sense in spending money when you dont have too. Heres one on ebay also with the studs. I'll probably use it. figured I'd see if there were any takers on here since it is an odd-ball. The melted socket on the one on e-bay is a nice touch. and of course it is listed as "hard to find"
Yes, Driver side. Do you have a chevelle housing to trade? If not $20 for the whole thing or $10 for the lens' & trim without the housing, plus the ride. The trim has been painted silver & the housing has been painted also. Decent shape otherwise. 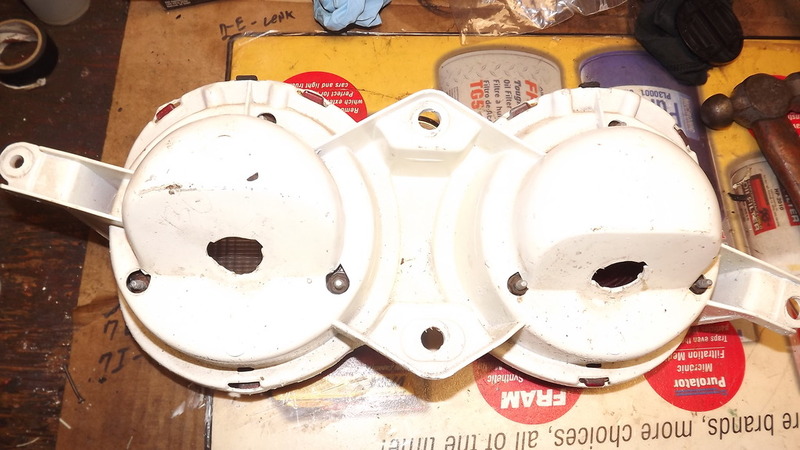 Socket holes look good & not melted, mounts look good.